Divinity has no specific form, but He is all-pervasive. He is in you, with you, below you, above you, and around you. The Soul is present wherever you see. But when there are passing clouds, you will not be able to visualise the Soul. The Moon is always present in the sky, but you will not be able to see the Moon when it is covered by clouds. You cannot deny the presence of the Moon because it is covered by clouds. If you want to see the Moon, you have to wait for some time. You can see the Moon, once the clouds move away. The Veda declares, Chandrama Manaso Jatahah Chaksho Suryo Ajayata (the moon was born out of the mind and the sun out of the eyes of the Supreme Being). The Soul is shining like moon in the sky of our heart. But sometimes, it is covered by the clouds of thoughts and desires. In some seasons, you find thick clouds. When there are thick clouds, you will not be able to see the moon. But do not deny the existence of moon just because you are unable to see. The night is dominated by the Moon. The Moon has 16 kalas or fractions; and each day when it wanes a fraction is reduced, until it is annihilated on New Moon Night. After that, each day a fraction is added, until it completes itself on Full Moon Night. The Moon is the presiding deity of the Mind; “chandrama manaso jaathah“, (out of the Mind of the Purusha, [Godhead] the Moon was born). There is a close affinity between the manas (mind) and the Moon; both are subject to decline and progress. The waning of the Moon is the symbol for the waning of the mind; for the mind has to be controlled, reduced and finally destroyed. All spiritual activity and effort is directed towards this end. The mind has to be killed, so that maya (the veil of delusion) may be rent asunder and the reality revealed. Every day during the dark half of the month, the Moon, and symbolically its counterpart in man – the mind – both wane, and a fraction is diminished: its power declines. Finally, on the fourteenth night, Chathurdasi, there is just a wee bit left, that is all. If a little extra effort is made that day by the spiritual aspirant, even that bit can be wiped off and mastery of the mind is achieved. 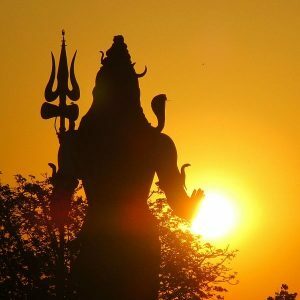 The Chathurdasi of the dark half is therefore called Sivarathri, for that night should be spent in the chanting and meditation on Siva, without any other thought either of food or sleep. Then success is assured. Once a year, on Maha Shivarathri night, a special spurt of spiritual activity is recommended, so that what is Shavam (corpse) can become Shivam (God) by the removal of this dross called mind. of Maha Shivarathri. Spiritual effort on this night wipes away the dross. The significance of Shivratri is closely associated with ‘amavas’ – the no moon night or full dark night as per traditional Hindu Calendar. Amavas symbolically represents Kaliyuga or spiritual ignorance. Lord Shiva appeared just before the beginning of Kaliyuga to rid the world of evil and ignorance. Therefore Shivratri is celebrated to get rid of evil and ignorance. There is also a Masa Shivaratri which is observed on thirteenth day of Krishna Paksha (waning phase of the moon) in all traditional Hindu months. It is believed that the planetary positions align in such a way on Shivratri night that it naturally creates an upsurge of energy in the human system. This is also why traditionally it is known to be beneficial both physically and spiritually to stay awake and aware through the night. 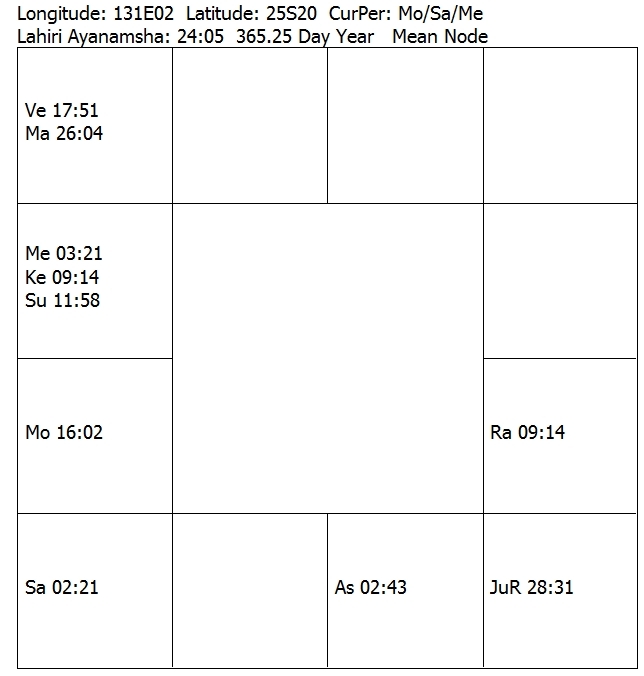 The planetary position shows that the Moon is papa ketari, hemmed in between two malefic planets. Hence the Moon is weak. Jupiter (spiritual guru, grounded in Virgo) aspects the moon by 5th dristhi, sight, and lends energy for spiritual effort at this time. Jupiter is in the 12th house, auspicing detachment from material matters and reflection, awareness of the journey through life, toward the goal of life, release from the cycle of birth-death-birth again. The Moon is in one of the pillars of the chart, kendra, where Lord Vishnu offers sustenance for the journey. Lord Shiva resides in the 7th house, where his task is to destroy all attachment to things of this world. Lord of the 7th, Mars, is in the sixth house, the house of selfless service. It is selfless service which promotes spiritual advance and obtains grace from the Kalapurusha, the Lord of Time and Space. Mars is conjunct exalted Venus, the protector and upholder of dharma. Dharma is the foundation, the basis of all life in all universes. Lingashtakam is a prayer dedicated to Hindu God Shiva and is one of the most famous bhajans dedicated to Lord Shiva. Lingashtakam narrates the greatness of Linga or Lingam – the symbol of Lord Shiva. The song is a favourite of many Shiva devotees. It is believed that Lord Shiva appeared in the form of a pillar of fire with no end or beginning. The Shiva Lingam is an attempt to give form to formless Brahman. It is considered highly auspicious to listen to Lingashtakam during Mahashivaratri or Shivratri. The Lord’s matted locks shining brilliantly. 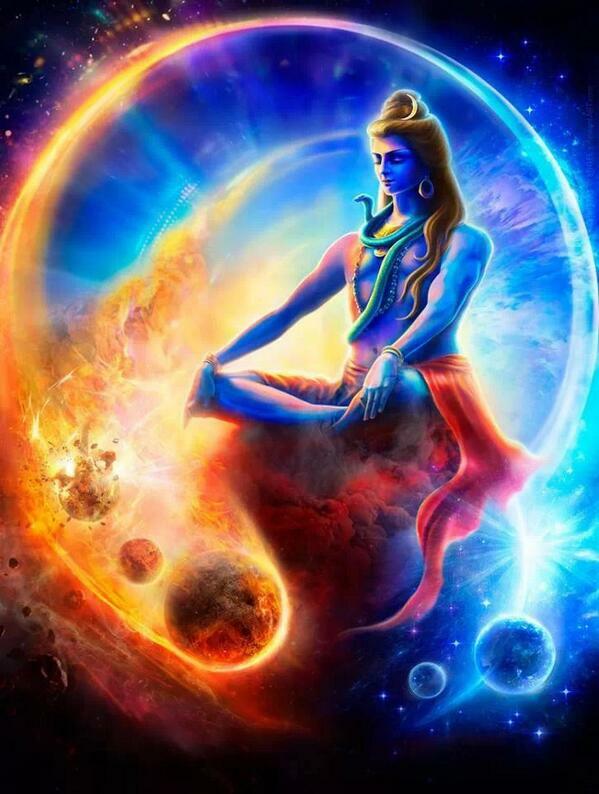 All the worlds proclaim: Om Namah Shivaya Shivaya Namah Om, Shambo Mahadeva! Conversations with the Master: Vision of God – How Would God Like to be Perceived?